"The government, I mean the incumbent one, has not and does not provide a political umbrella for anybody," Prime Minister Sergei Stanishev told journalists asked to comment on the report of the European Anti-Fraud Office (OLAF). "I do not accept the qualifications of and attacks against the president which Bulgarian political parties have made in a very incorrect way," he said. In Stanishev's words, the Bulgarian head of state "has proven with all his behaviour his correctness, including the transparency of his [election] campaign." 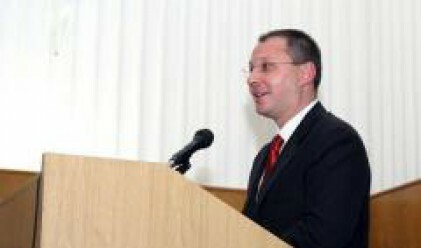 Stanishev said that the Bulgarian government sees a partner in OLAF as an important institution of the EU and is looking for ways to work better and more efficiently in conjunction with it. "There are problems with EU funding in all European Union countries," he said. "We are in a process of self-learning how to work most effectively and transparently, so that having difficulties is not a surprise; what matters is to overcome them the soonest possible." "OLAF believes there are influential forces in the Bulgarian government and/or the Bulgarian state services which have no interest in the punishment of any person from the Nikolov-Stoykov group", OLAF Director-General Franz-Hermann Bruner said in an official letter to Bulgaria's Deputy PM Meglena Plugchieva two weeks ago. The letter accompanied a shocking report that was leaked to the media. OLAF had discovered abuses of 32 million Euro of SAPARD funds in Bulgaria and political cover-up for certain persons involved in the frauds, BTA reported. The leading figures in the so-called "Nikolov-Stoykov group" are controversial businessmen Mario Nikolov and Lyudmil Stoykov, who were detained a year and a half ago after OLAF alerted the Bulgarian authorities that they had drained 7.5 million euro of SAPARD funds. Nikolov and Stoykov, as well as other four persons suspected as their accomplices, were released soon after their detainment. The case is still under investigation and no litigation has been opened yet. According to OLAF, the Nikolov-Stoykov group is "a criminal network of companies, which includes more than 50 Bulgarian, European, and offshore firms". It is said to be extremely flexible, and to have been involved in a number of illegal activities. "This network is managed and financed by Nikolov and Stoykov, who are said to have close relations with the present Bulgarian government. One of them has allegedly funded the election campaign of the current Bulgarian President, and is a business partner of a former Deputy Minister of Foreign Affairs [Feim Chaushev], who has tried to influence an investigation in progress against this person", the OLAF report said, as quoted by the Bulgarian media.